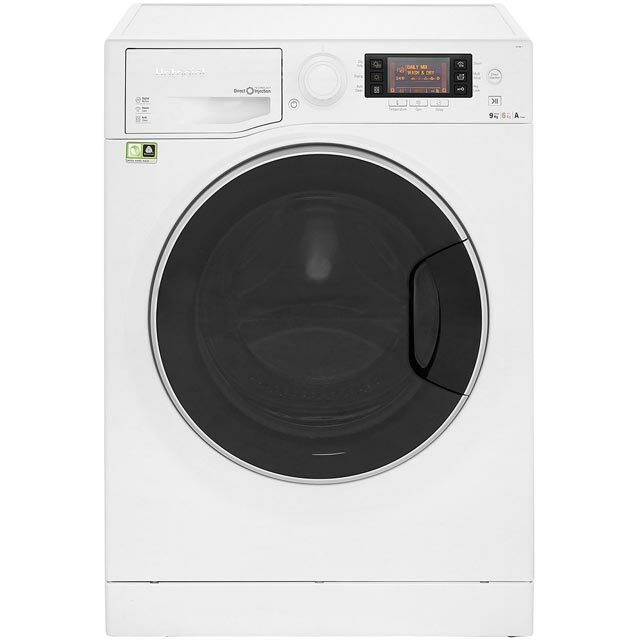 Make short work of your laundry with this white washer dryer from Hoover. It has a 9kg drum which makes it ideal for medium-sized households. 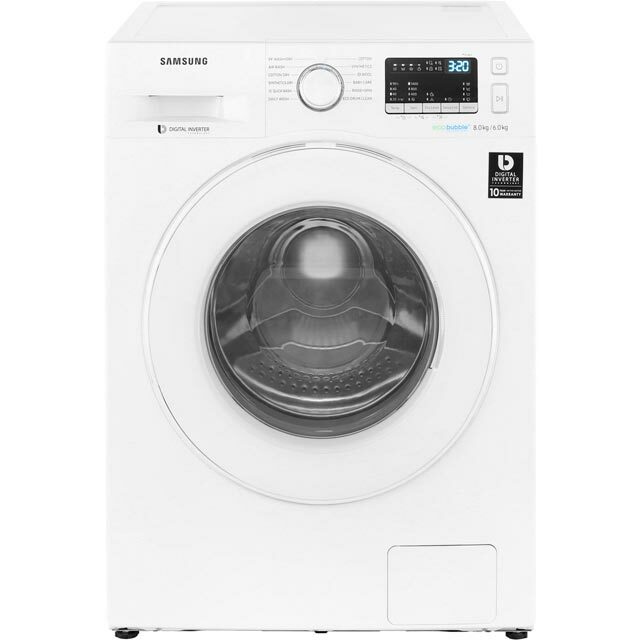 Thanks to the KG Mode, you can wash and dry more efficiently, as it uses clever sensors to weigh the load and automatically adjust settings – so you only ever use the perfect amount of time and energy. 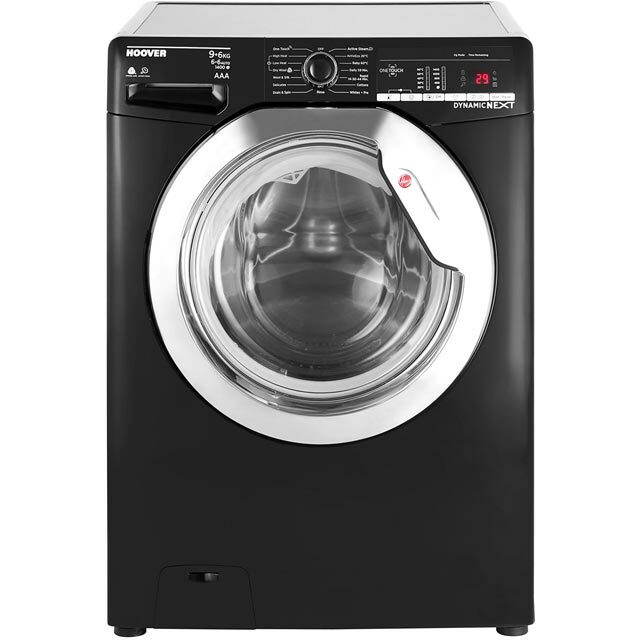 It has a clever 3D Dynamic Wash System too, which combines faster spin speeds with special drum movements to give your clothes a brilliant clean. You can even control your appliance with your smartphone, as this model works with the One Touch app, which lets you monitor the cycle remotely and even download new wash programmes. 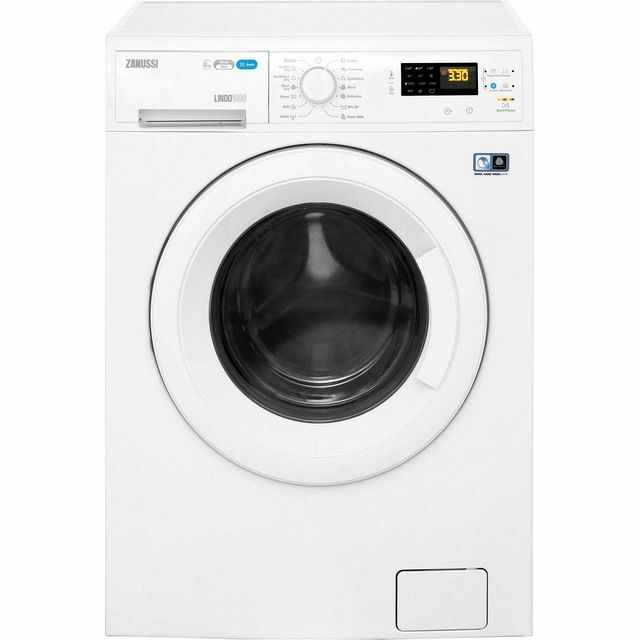 I was very dubious about getting a washer dryer as quite a few negative comments, I decided to just go for it in the end and I'm so glad I did!! It has been an absolute game changer for me! I live in a very small house with no room at all for drying things so to be able to take sheets, towels etc straight out and put away is amazing! I haven't played around with the one touch or all the programs yet but the daily 59 and rapid wash cycles are fab. When I have used the dryer the towels etc have come out bone dry (I think the trick is to not overload it) yes the drying time is quite long but I think that is pretty standard on a washer/dryer and tbh if I had to hang them round the house they clutter everywhere up for a good 24 hrs so a 3/4 hour dry time in a machine not cluttering my house is perfectly acceptable for me! Definitely the best purchase I have made in a long time!! Love it!! Very happy with purchase. First time owning a washer dryer but it has certainly made family life easier!! much quieter than my previous washing machine. Great machine washes and drys very well, we always get a great wash with the 20 degrees eco wash. My only complaint is that the plastic screen on the front feels a bit weak as though you could easily crack it. 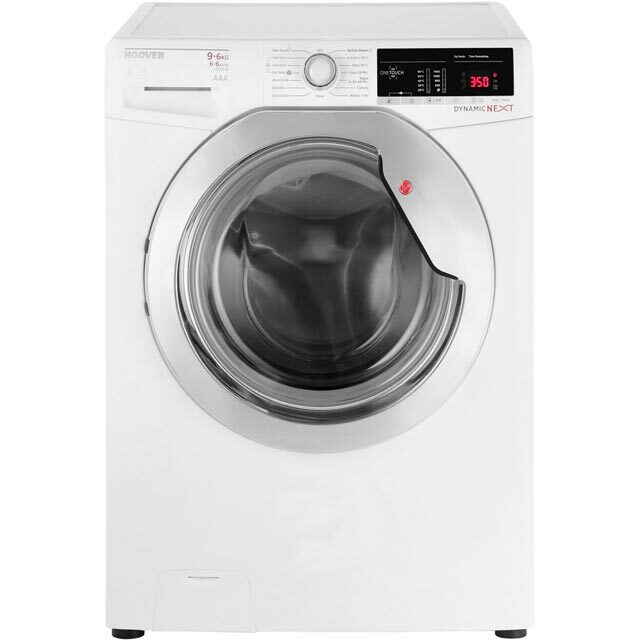 A washer dryer that weighs the washing and automatically adjusts the time of the wash saving your water and power...? Yep that’s what happens. You don’t have to worry about making up a big wash to fill the massive drum, just put in what you have and it adjusts the time to suit the load. It has lots of options to just wash, just dry or do the whole thing all in one. You can’t really use all the functions of the one touch with iPhone... so if that is your reason for buying then keep looking for one that is fully supported by apple. Otherwise can’t yet find any faults!